I Question: Do Governments Have Sovereign Rights In Geographic Names? 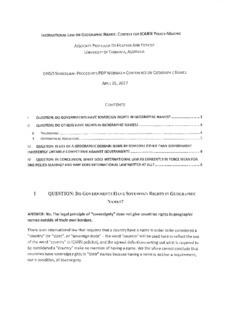 II Question: Do Others Have Rights In Geographic Names? III Question: Is Use Of A Geographic Domain Name By Someone Other Than Government Inherently Unfairly Competitive Against Government? 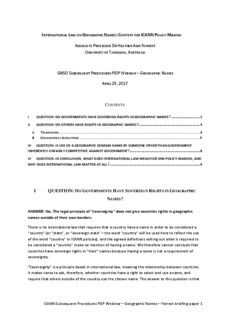 IV Question: In Conclusion, What Does International Law Mean For Dns Policy-Making, And Why Does International Law Matter At All?